Sydney is one of the most popular places to visit for some winter sun, and the first stop for many people holidaying in Australia. The city has so much to offer, from beautiful beaches and bush scenery to iconic landmarks such as The Harbour Bridge and the Opera House. It’s a fantastic place to visit year round, but in the height of summer in December there’s a certain buzz around Sydney. Whether you’re visiting family or just want to get away for the holiday season, here is our list of top things to do in Sydney. While the rest of the world wraps up in jumpers and scarves, it’s an Aussie tradition to go to the beach on Christmas Day. Don’t forget your large inflatables and Santa hats for lots of fun in the sun! Bondi beach is a favourite with locals and tourists alike, and it’s probably best to swap your Christmas dinner for an authentic barby. Most tourist attractions are open on Christmas Day, so if you don’t fancy sunbathing all day then go and see some native wildlife in Taronga zoo. Here you’ll also find a cable car which offers incredible views of the harbour. If you’re feeling brave then sign up for the Harbour Bridge Climb. When its 30˚C or higher, you’ll find the last thing you want to eat is a traditional festive feast. Sydney’s bustling Chinatown is a fascinating stop for lunch or dinner, and you’ll find it’s open every day over the holidays. With such stunning coastline on your doorstep, it would be a crime not to enjoy a boat cruise while in Sydney. There are many different cruises and routes to choose from, so there’s a cruise for every budget. There are even a few running on Christmas Day where you can enjoy a five course dinner and unlimited drinks! On Boxing Day, enjoy the annual tradition of the start of the Sydney to Hobart yacht race. As one of the most iconic yachting races in the world, join in the festivities around the harbour including live music and face painting. The boats start arriving in Hobart on New Year’s Eve, to kick off the next round of celebrations! 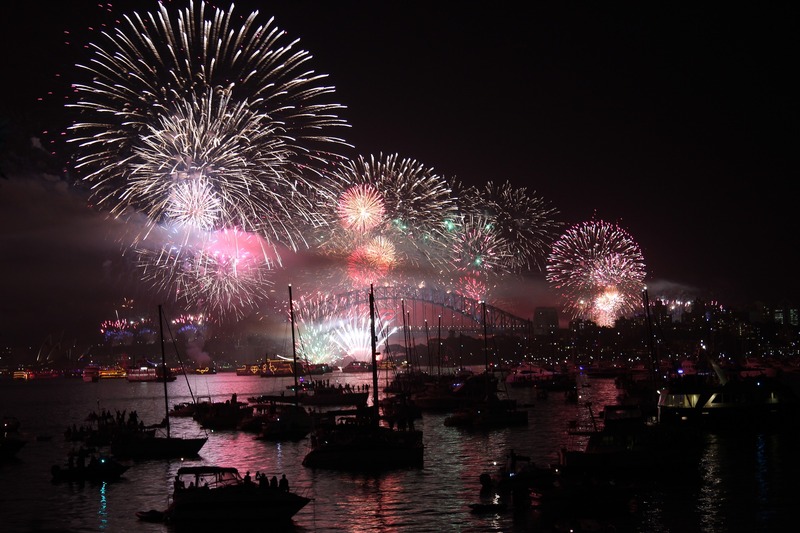 One of the most important events in the Sydney calendar is the New Year’s Eve fireworks celebration. The midnight displays attract over 1.5 million people to the harbour each year, so it’s worth getting there early and finding a good viewpoint. There’s few places as exciting as Sydney to spend the festive season. Contact our local guide Steve if you need any help planning your trip!